For the ones intend to apply for M.S. program, please tick Master of Science and Technology Initiative Degree Program, while the ones intend to apply for Ph.D, please tick Fulbright Ph.D. Degree Program on the application form. 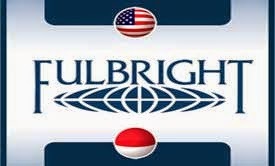 Demikianlah informasi mengenai USAID Fulbright Agricultural Scholarships, AMINEF, USA semoga berguna bagi anda.